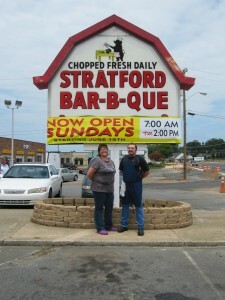 Stratford Barbecue is a locally-owned restaurant located in King, NC. The customer is at the heart of our business philosophy. We pride ourselves in offering a welcoming, family friendly atmosphere. We believe that people are the key to delivering the preferred dining experience through warm, friendly and attentive service. Value has always been the underlying theme of our restaurant, offering large portions, and great value for money.